Sell iPhone SE | How Much is My iPhone SE Worth? Select the information above in order to receive an accurate quote for the iPhone SE you want to sell. Click sell item if you agree with the price that is displayed. GreenBuyback purchases cell phones, tablets, and laptops at the highest prices in the industry! GreenBuyback pays cash for your old cell phones, tablets, and laptops. When you sell your cell phone, tablet, or laptop to GreenBuyback you will never have to pay shipping. GreenBuyback is dedicated to maximizing the cash back to our customers. Sell your iPhone SE for cash today! In March 2016, Apple released the iPhone SE which takes the processing speed, great camera, and Apple Pay of the 6S and put it into the more compact 4 inch phone. For those of you who missed the smaller iPhone models, the SE is a good option. For those super phone users, the SE also has an impressive 13 hour battery life. GreenBuyback will buy your iPhone SE in any condition, even broken! Simply head to GreenBuyback to get a quote, send your iPhone SE, and get cash quick! As with all Apple iPhones, you can expect some classic design elements. On the SE, Apple doesn’t disappoint. The phone comes in a stylish, yet subtle rose gold aluminum and steel body. Don’t let the pink fool you, this phone is comparable in power to its iPhone 6 cousins. 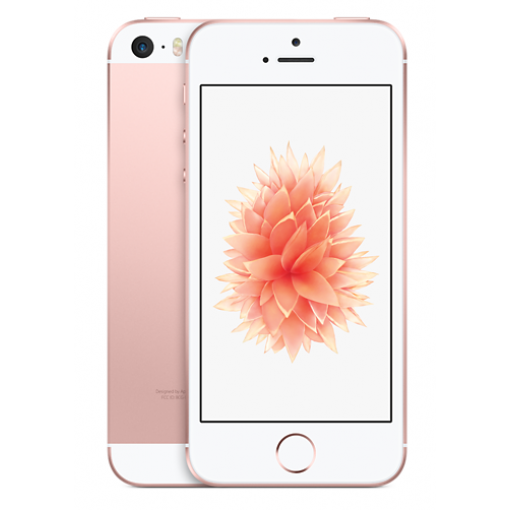 Selling a iPhone SE is so easy with GreenBuyback; send your iPhone SE to GreenBuyback with free shipping and you’ll get cash sent to you fast!